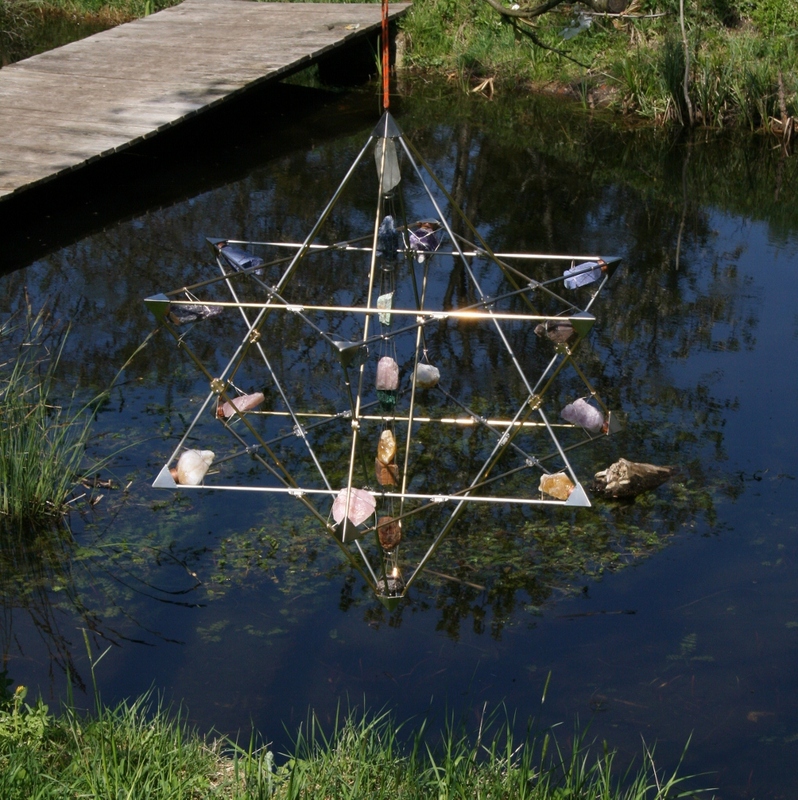 A powerful stream of vibrations of the Merkiva Alpha Power embraces the whole being of a person staying under it. Therefore, at first contact with this instrument usually an intense energy flow comes into play. All chakras become strongly activated. It is accompanied by simultaneous impression that a whole energetic body is being developed into a multidimensional structure. It is a very pleasant and extremely interesting experience. A similar pleasure is given by a meditation under this model of the Merkiva as it is an instrument enabling achieving states of deep focus. The Merkiva Alpha Power vibrates at a frequency of an extended alpha wave preparing a meditating person to naturally enter a Theta state. In the Theta state thinking activity slowly disappears giving way to experience of lasting in light and blissfulness. It is such a pleasant experience that you just do not want to end it. A deepened alpha state happens not only during meditation. It is also a frequency characteristic for a healthy sleeping in which positive dreaming appears. It is worth mentioning here that these are not always only dreams. People of a rich spiritual life experience in this dreaming phase journeys between the worlds and receive messages from other dimensions. In a subsequent, deeper phase of dreaming the activity of the mind quiets down entering the theta state to finally reach its deepest phase in the delta state. A natural ability to cause to enter into a deepened alpha state as well as a powerful emanation embracing a whole human energy system makes the Merkiva Alpha Power an excellent tool to hang over your place of rest. Thanks to its deepened vibrations the Merkiva Alpha Power in your bedroom is much better than its younger sister Alpha which in its range is more adequate for conscious activity. these both states together – if the place where you hang the Merkiva serves both for sleeping and meditation or if you can acquire two instruments. Sacred Geometry encoded in the shape of a Spherical Multidimensional Meriva Alpha Power is extremely inspiring. It stimulates deep spiritual transformation and opens deeply hidden energy structures, linking us with the Higher Dimensions and the Higher Self. Launching these connections is very clearly felt by many users. The entire energy system undergoes profound transition adapting to the functioning in the divine, multidimensional reality. Changes in energy are first steps for changes in the physical realm. Spherical Merkiva Alpha Power stabilizes and organizes energy of the environment, changing chaotic and disharmonious impact into ordered and polarized one. Fulfilling this function it acts as a shield against harmful radiation. In case of highly penetrating radiation such as watercourses, or geopathic stress, it is not about to completely block the radiation (which is practically impossible), but to convert it into neutral and harmless. The effectiveness depends on the size of the room and the intensity of the radiation to be polarized. Powerful influence of Spherical Merkiva Alpha Power is clearly felt, even in large rooms. The load-bearing structure of brass and diamagnetic high-grade stainless steel filled with semi-precious stones. 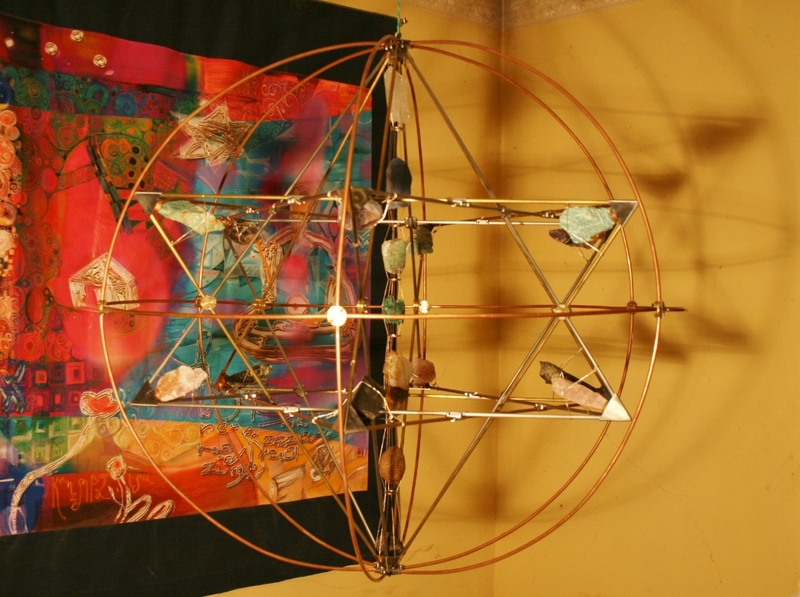 The sphere made of pure copper increases the power by ca 35% and changes the energy pattern into toroidal. Height – 95 cm / 37,4"
Dowsing intensity – 105.000 units of Bovis scale (compared to the emanation of the natural Earth Chakra in Cracow, usually estimated at 120.000 units). 2 - Safe on-line payment with PAYPAL service. The order confirmation contains bank details or PAYPAL payment link (according to the payment option) and estimation of delivery date. After the shipment you will receive a link to trace the parcel. Any time, before or after the order, feel free to use our assistance. Archival images of the Meriva from a time when it was still without the sphere.